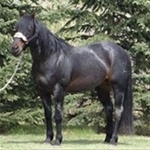 Stallion directory, Stallions, Stallion Services, Horse Breeding, Canada, studbook. Location: Lethbridge County, AB, Canada. Location: Prince Albert, Sk, Canada. Location: Irvine , AB, Canada. Location: Duck Lake , SK, Canada . Location: Hines Creek , AB, Canada . Location: Cecil Lake, BC, Canada. Location: Turner Valley, AB, Canada. Location: Swift Current, SK, Canada. Location: STONY PLAIN, AB, Canada. Location: Hay Lakes, AB, Canada.